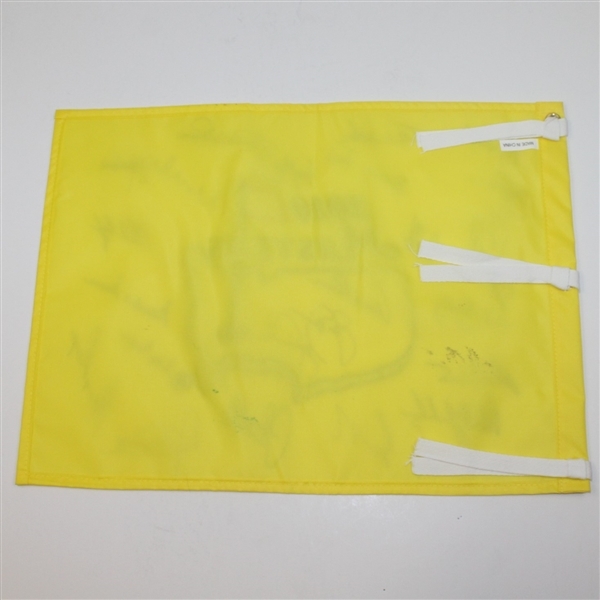 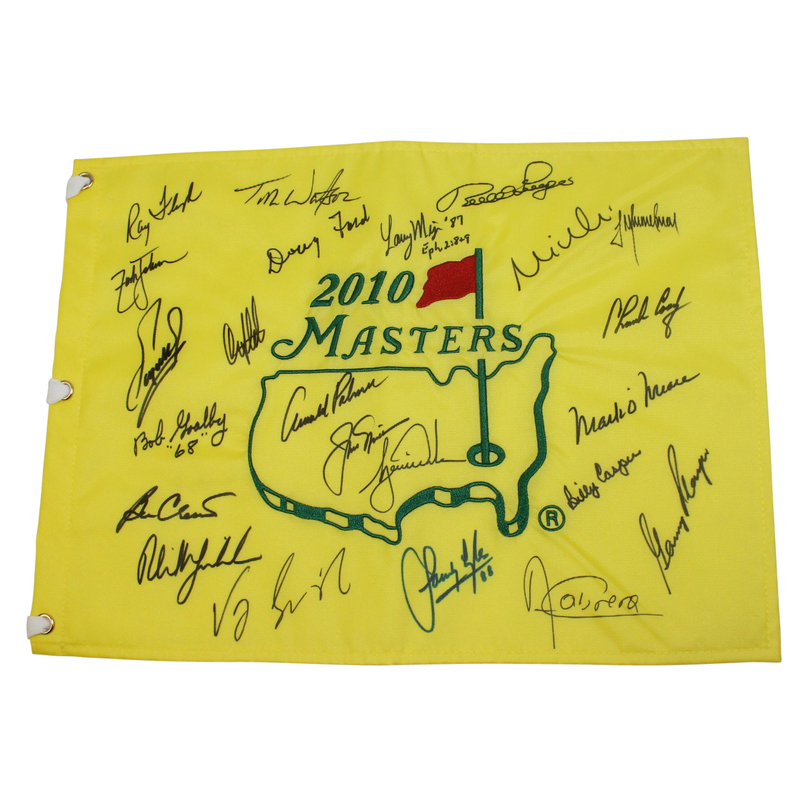 Ray Floyd's 2010 Masters Champs Dinner Flag with Palmer, Nicklaus, & Woods Center! 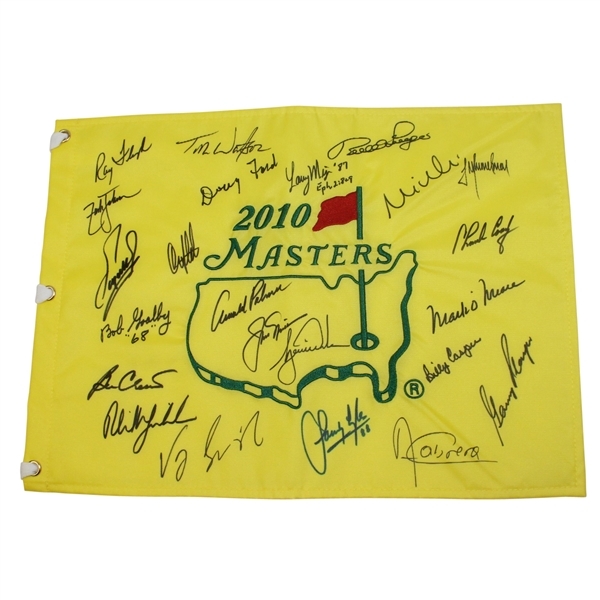 23 Champs! 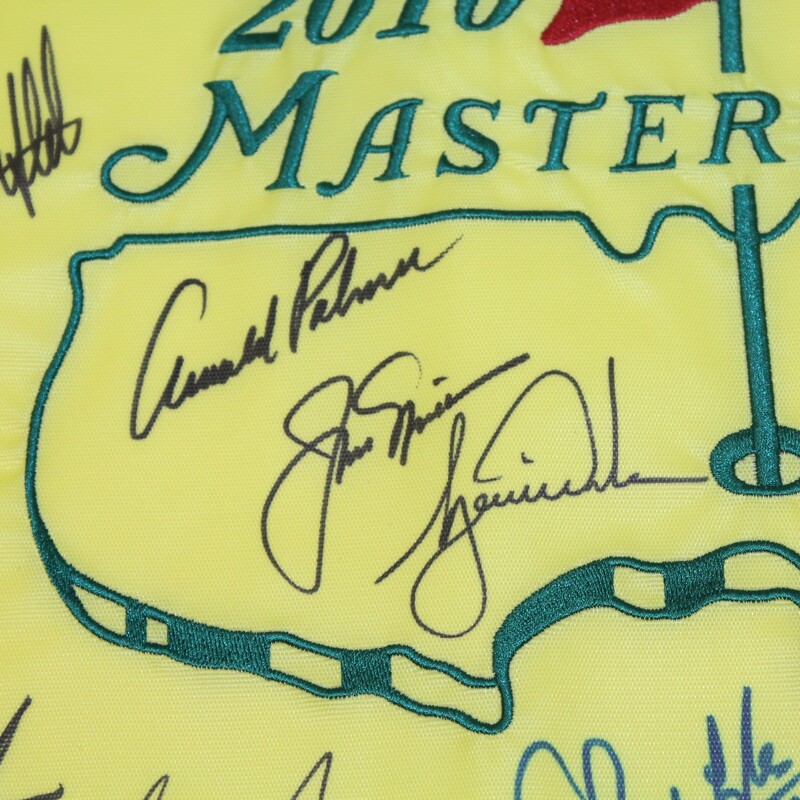 Jack Nicklaus (inside Masters logo), Arnold Palmer (inside Masters logo), Tiger Woods (inside Masters logo), Mickelson, Gary Player, Tom Watson, Billy Casper, Ben Crenshaw, Ángel Cabrera, Trevor Immelman, Craig Stadler, Larry Mize ("87" inscription), Mike Weir, Zach Johnson, Vijay Singh, Mark O'Meara, Floyd, Bob Goalby (with "68" inscription), Sandy Lyle ("88" inscription), Doug Ford, Charles Coody, Bernhard Langer, and Fuzzy Zoeller.